The Crown & Punchbowl has 9 delightful double rooms, all of which are en-suite. Click here to find out more about our guest rooms. The Crown & Punchbowl is a quaint country pub, restaurant and inn nestled amongst farmhouses in the village of Horningsea, just 3 miles from the centre of Cambridge. Horningsea has the best of both worlds – it is idyllic and rural whilst being well connected to the Cambridge Science and Business Parks, just a 5 minute drive away via the A14. Our nine guest rooms are well-placed for visiting Cambridge, Ely or the Newmarket Races. The pub serves local real ales straight from the cask whilst the restaurant offers seasonal modern British food in relaxed surroundings. 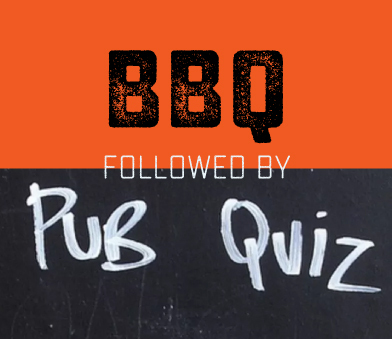 All BBQ food proceeds as well as entry to the pub quiz will go to supporting Fen Ditton Primary School. £50 for a double, ensuite room on Sunday evenings when you spend £75 in the restaurant. Excludes Bank Holiday weekends. Excludes Breakfast. If you’re looking for a rural getaway within easy access of Cambridge city centre we offer a special rate of £295. 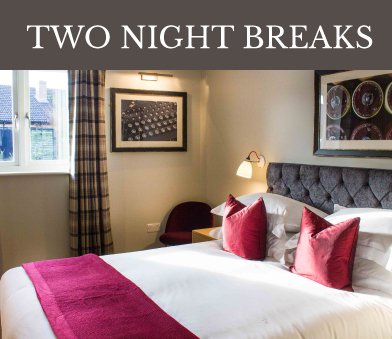 This includes a 2 night day for 2 people, a 3-course dinner in the restaurant on one of the nights (excludes drinks) and breakfast on both mornings. 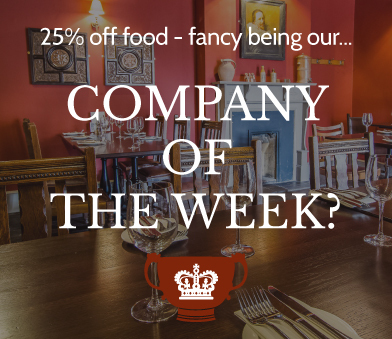 We’ll even throw in a £10 voucher to use at one of our other restaurants if you fancy heading into town or exploring more of the Cambridgeshire countryside. Please book online or for more information contact us on 01223 860643 or crown@cambscuisine.com. This weekend break can also be purchased as a gift from our gift vouchers shop. 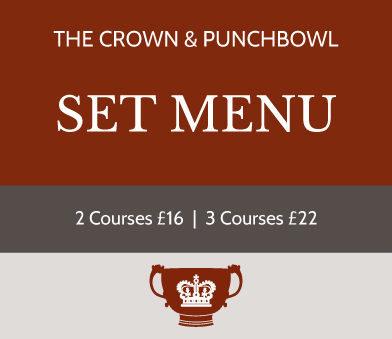 The Crown & Punchbowl serves a great value set menu, perfect for a light weektime lunch. Please take a look at the menu section on the website. Please see our blackboards for fresh fish. All fish is supplied by Marrfish from day boats and delivered fresh daily. These dishes change regularly and are from a sustainable source. Our wine list is quite unique in that it focuses on the Languedoc- Roussillon region of France. We have visited the region many times, with staff, and have met very nearly all of the wine makers on our list. We serve local real ales at sensible prices. We also serve homemade punch and real cider from Cromwell along with a good selection of soft drinks. 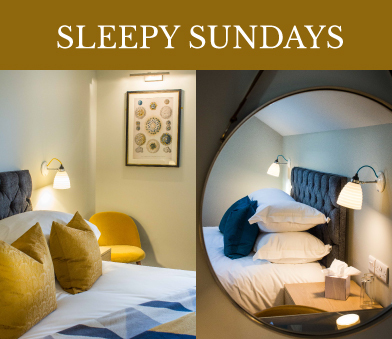 The Crown & Punchbowl has a total of nine delightful double rooms, all of them ensuite. The Erasmus Room is our largest room and offers an ensuite bath/shower. The Goodall room can be arranged either as a twin or as a super king bed. The Science Wing was added in December 2018 with four fabulous rooms named after four of the 20th century’s most influential scientists, all of whom have a connection to Cambridge: Alan Turing, Rosalind Franklin, Stephen Hawking and Jane Goodall. Absolutely! We have newspapers available and serve coffee from 11.30am. Dogs are welcome in the pub and we have two real fires. As the day goes on you may like to pop in for a pint of real ale, glass of wine or soft drink in the pub. Children of any age are welcome in both the pub and restaurant during the day. In the evening children must be 5 or over to eat in the restaurant and 10 or over to be in the pub. The garden is, of course, any age at any time. We have a children’s menu with activities and colouring in to keep them entertained. We do however request children to be well behaved, seated and other customers to be considered. Yes, for the restaurant as it is all on the ground floor. We also have a wide access door at the back of the restaurant and a disabled access toilet. Yes, dogs are welcome in the pub/bar area. Your four-legged friends can always count on a bowl of water and we also have dog biscuits available to purchase. You can consider us a nice stop on your walking route! We have ample onsite parking for all of our customers. There is plenty of car parking on the street should this be full. Please do not block neighbours into their drives when parking on the road. We have a newly renovated outside seating area where bar snacks and drinks will be available when the weather is kind to us!